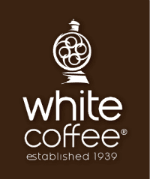 White Coffee Corp. is committed to be a leader in the industry in minimizing the effect of it activity on the environment. And is committed to managing environmental, health and safety (EH&S) matters as an integral part of our business. Minimize waste by evaluating operations and employing management systems designed to prevent activities/or conditions that pose a threat to human health, safety or the environment. Minimize toxic emission through the selection and use of it fleets and processing operations. Source, produce and promote product range to minimize the environmental impact of both production and distribution. White Coffee corp. will implement a training program for its staff to raise awareness of environmental issues and enlist their support in improving the company’s performance. We will seek opportunities, beyond regulatory compliance requirement, for reducing risk to human health and environment, and we will establish and meet our own (EH&S) quality standard where appropriate. b) Ensuring that all equipment requiring Triennial Certificate of Operation is maintained in a manner that meet or exceed the DEP requirement for air pollution. c) White Coffee Corp. in partnership with Filco Carting Corp. has established a comprehensive recycling program. Filco is a member of the U.S Green Building Council (USGBC) and the National Waste and & Recycling association (NWRA). The recyclable material from white coffee was 64.12 tons (a) consist of cardboard, wood, mixed paper, metal and plastic. Any liquid products that could have an impact on the environment are disposed of by a company that is in compliance with EPA regulations and all applicable laws and permit. e) Our energy conservation program consists of three elements, reduction in the use of electricity, water and natural gas. Electricity: White coffee in collaboration with con Edison green team has completed two phases of replacing all light fixtures with energy efficient light fixtures. Replacements of all light fixtures will be completed by 2015, with an estimated reduction of 50% energy consumption for lighting (b). Gas: The estimated consumption of natural gas for 2014 is 86000 therms @ $0.70/ therm. The goal is a 15-20 % reduction in the use of natural gas (d). f) All of white coffee trucks are eco-friendly, and are equipped with diesel exhaust fluid (DEF) technology (e). White Coffee Corp. is committed to be a leader in the industry in minimizing the effect of it activity on the environment. And is committed to managing environmental, health and safety (EH&S) matters as an integral part of our business. It is our policy to assure the (EH&S) of our process and our facility at all times. We will achieve this by the following. We will comply with applicable laws and regulations and will implement programs and procedures to assure compliance. c) Recycling of Solid waste. d) Monitoring of waste water and effluent. b) The project consists of replacing all Metal Halides with energy efficient florescent lights. Each 175 watts Metal Halide consume .175kwh of energy. Each 160 watt florescent light fixture consumes .160kwh of energy and replaces two Metal Halides. c)The replacement of all existing toilets with power-flush units, reducing water consumption on newer units from 1.1 gal/flush to 1.1 gal/flush and on older model from 3gal/flush to 1.1 gal/flush ( 1 Gal=0.1336 cubic feet). d) Replacement of existing burners on the R23’s with energy efficient burners, explore alternative heating solutions. e) DEF fluid is injected into the exhausts system to convert nitrogen oxide to form ammonia and carbon dioxide which is then converted to water and nitrogen.